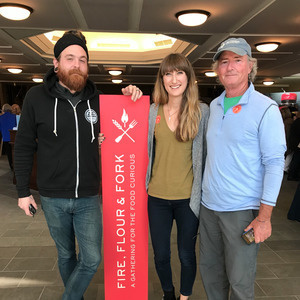 Lisa Held, the host of The Farm Report, is joined by Warren Brothers, a fifth-generation farmer in North Carolina and Luke Owens, the Chef de Cuisine at Chef and the Farmer. Over hundreds of years, the Brothers farmers have grown traditional crops like tobacco, corn, cotton, and wheat, and Warren now grows close to 50 varieties of vegetables using organic practices. His most famous customer is Vivian Howard, who buys his produce for her restaurant Chef and the Farmer and featured him on her popular PBS show, A Chef’s Life.